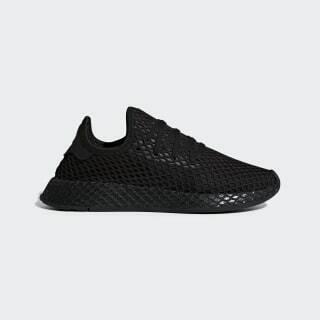 Disruptively simple, Deerupt is definitive proof that minimalism can be bold. These shoes have a stretchy upper that feels sleek and streamlined on your foot. The web overlay gives them a distinctive textured look. A reflective graphic flashes from the heel.